Mediclinic Morningside’s Professor Ermos Nicolaou, Specialist Obstetrician and Gynaecologist, and Specialist in Maternal and Foetal Medicine, is working with a team of international experts, led by Prof Mike Belfort from the United States, to perform spinal surgery on an unborn foetus with spina bifida. 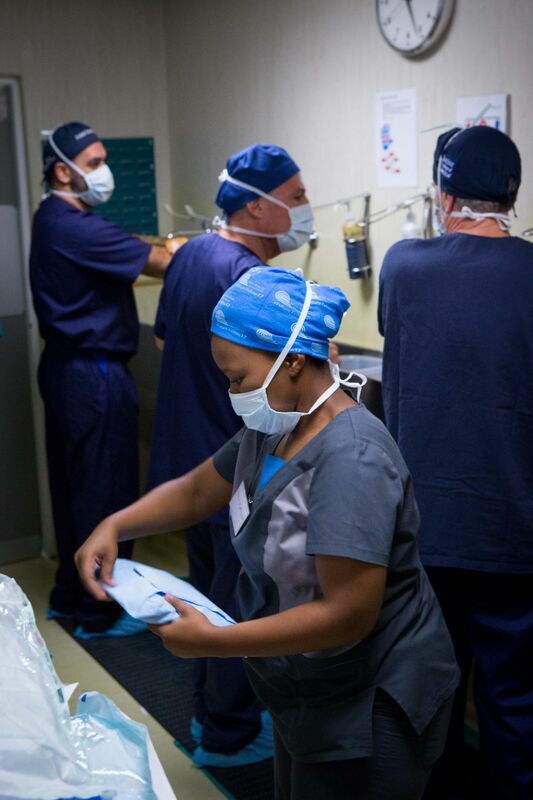 Foetal surgery in South Africa took a major step into the future at Mediclinic Morningside, as a team of experts worked together to help repair spinal defects in a baby, who is still in the womb. Spina bifida is a birth defect that affects the neural tube. Usually, the neural tube forms early on in the development of a foetus, and closes by the 28th day after conception – but for children with this condition, the neural tube can either fail to develop or close properly. This abnormality causes significant defects in the spinal cord and vertebrae. Professor Ermos Nicolaou says the foetus is at a gestational age of 25 weeks. “Usually, in these cases parents can either choose to terminate the pregnancy or to have the baby and undergo a series of surgeries after delivery to repair the defect on the spine, the brain and the feet,” he explains. Treatment to correct spina bifida-related defects involves intricate surgery. 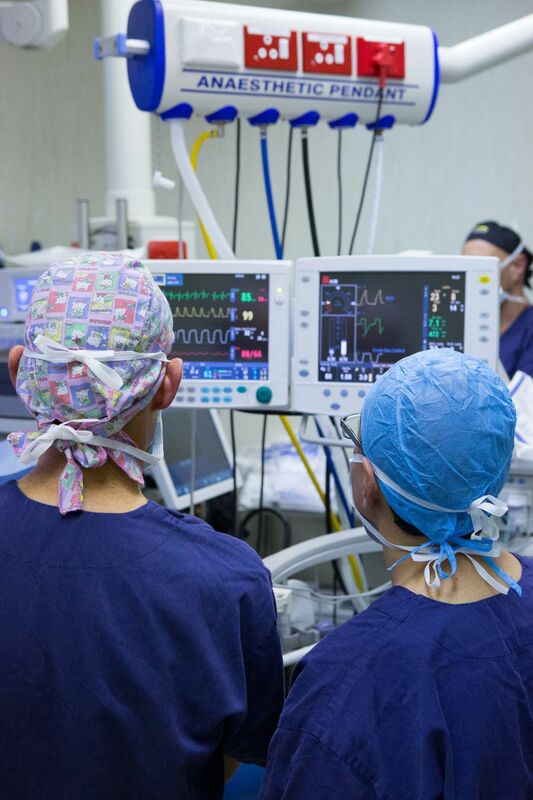 This kind of procedure requires considerable expertise and involves a team of experienced clinicians ranging from maternal and foetal medicine to experts in neurosurgery, anaesthesiology, neonatology and specialised neonatal ICU care. The operation also requires state-of-the-art surgical theatre facilities. Mediclinic Morningside is home to a range of such experts, who form part of the Centre for Foetal Surgery. Today they are joined by Professor Mike Belfort and his team from the United States, who have been pioneers in the field of foetal surgery and in particular, the repair of spina bifida in utero. Professor Nicolaou believes the repair of Spina Bifida in utero may stop the inflammatory process that typically leads to damage of the nerves and a range of potential abnormalities. The repair in utero, if successful, may actually be the only surgery that is needed. The neurodevelopmental handicap may be less severe and the overall prognosis may improve dramatically. As the operation is performed through tiny instruments through the uterine wall and by not cutting the uterus open, the recovery period is a lot faster and the patient may go on to have a normal vaginal delivery if she wishes. The aim of this particular surgery is to achieve a successful operation with full recovery, minimal complications and no need to perform further operations after the birth of the baby. Professor Nicolaou cautions that one immediate risk is preterm delivery of the baby. After the immediate postoperative period, close monitoring of both the mother and foetus until delivery will be mandatory. Once the baby is born, the Neurosurgeon who was a member of the operating team will assess the baby and decide if further corrective procedures will be required. Professor Nicolaou says he and his team aim to expand in-utero surgery as a treatment for other abnormalities. Specialists and surgeons would be able to offer surgery to correct defects in the heart, lungs, abdomen, kidneys and bladder. These procedures would be performed only if the foetal abnormality is so severe that it may lead to foetal death or severe handicap.